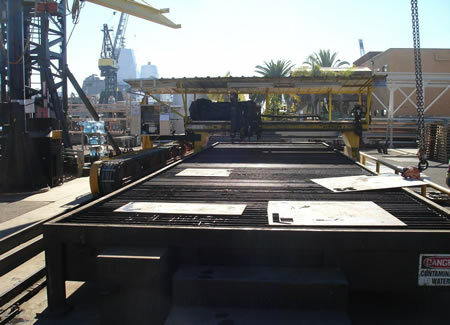 Employed at BAE Systems’ San Diego Ship Repair is an Avenger cutter with plasma head, marking head, and an oxy-fuel cutting head. 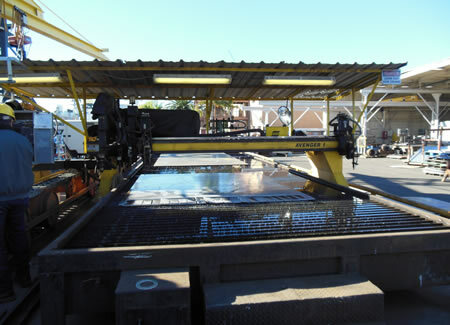 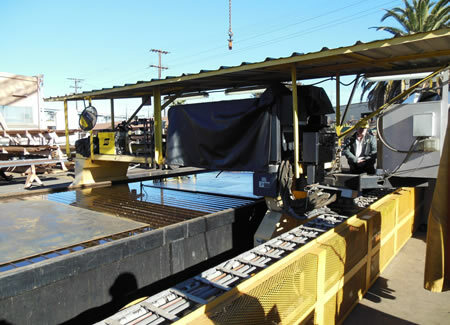 The ship repair yard’s Avenger is used to cut steel, aluminum, and stainless steel. 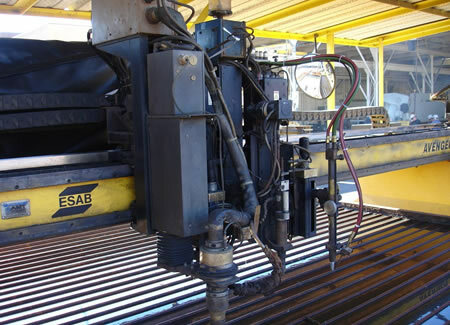 The following images show the Avenger plasma cutting system that R.J. Kates keeps in working repair.